Following from a philosophy that attends to the development of human behavior, Waldorf schools help students learn and grow through uniting mind and body. Fashioned by Rudolf Steiner in 1919, the Waldorf education is one that focuses on the individual student’s strengths rather than catering to a large group and assuming that all students learn in the same way. Teachers are the main source of strength in Waldorf schools. With a heavy focus on the importance of hands-on experience for their students, rather than standardized testing, Waldorf teachers help their students to explore curricula through diverse activities, with plenty of room to customize lesson plans. The fluidity of this approach provides extensive engagement that leads to lifelong connections with the material taught, the teachers involved and the bigger questions at the heart of each subject. 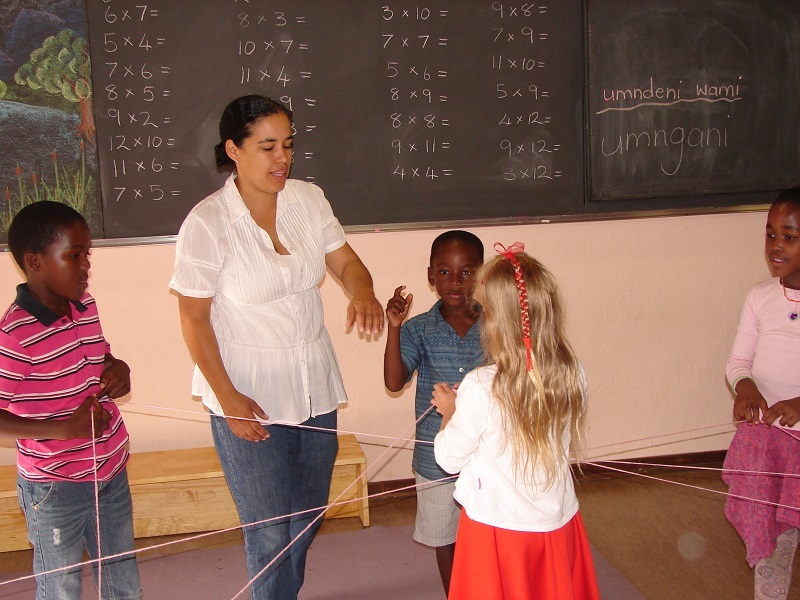 Teachers are the main source of strength in Waldorf schools. With this mindset, Waldorf schools and educators encourage their pupils to truly thrive in a healthy environment where their opinions and differences are respected rather than stifled or rejected. A distinction of Waldorf teachers is their passion for individuality and commitment to nurturing individual student’s mind. This philosophy also deems the relationship between Waldorf teachers and their students very much akin to that between mentors and mentees, so that involvement extends beyond the classroom. The effect of such educators as Moore leaves a significant mark on the future education and life choices on students. Remy Baglieri, a Mountain Laurel graduate in 2008 and a former student of Moore’s, has only positive and appreciative things to say about Moore and her Waldorf education. “Many people I know have told me they don’t remember their elementary school teacher. Luckily, I don’t think myself (or anyone) could forget Jeff Moore as an educator,” Baglieri says. “In a Waldorf environment, learning is expected to come naturally, and each pupil is given their own time to digest all of the knowledge. Mr. Moore knew this and followed a lesson plan, but would also interweave his love of art, stories and personal experiences in every school day. He made learning — dare I say it — enjoyable. He guided us in our own understanding on what it means to learn, grow and become thoughtful human beings. I don’t know a man that could raise 12 kids for 8 years, but I’m extremely grateful that Jeff stuck it out for that long. I wouldn’t be the person I am today if he hadn’t,” she adds. He made learning — dare I say it — enjoyable. Although the Waldorf approach to education has expanded to great lengths, especially in Europe, there are some who question the seemingly test-less teaching approach. Because Steiner’s philosophy incorporates the most profound understanding of human development, it can be difficult for conventional thinkers to accept the ways in which Waldorf directs students away from the standardized testing train that consumes much of K-12 education. However, according to the AWSNA, a staggering 94 percent of Waldorf graduates attend college, 89 percent expresses great satisfaction with career choices, and 90 percent place high value on the importance of tolerance of other viewpoints. With bright, capable students and teachers wholly committed to both what occurs in the classroom and after, the Waldorf model flourishes. The immense quality of thinking and roundedness that comes from a Waldorf education is vital to today’s society. Author and student success expert.